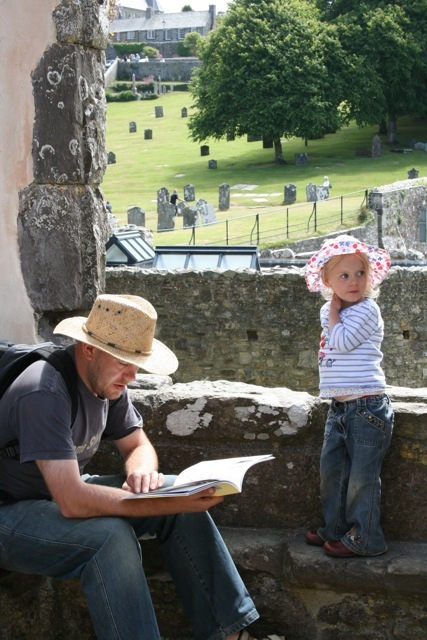 While many are celebrating the long Jubilee weekend, one member of the congregation at Holy Trinity will be setting out on a walking pilgrimage to St. David’s cathedral. James Jackson will set off from Abergavenny on Sunday 3rd June after the morning Eucharist and arrive at the cathedral a week later. The full walk is 123 miles, following the rivers Usk and Tywi before striking across country to St. Nons and the cathedral. James is relying on the kindness of the Welsh climate by day and of strangers by night as he travels without a tent. He will share the experiences of his journey upon his return, but he would be very glad of your prayers over the coming week! 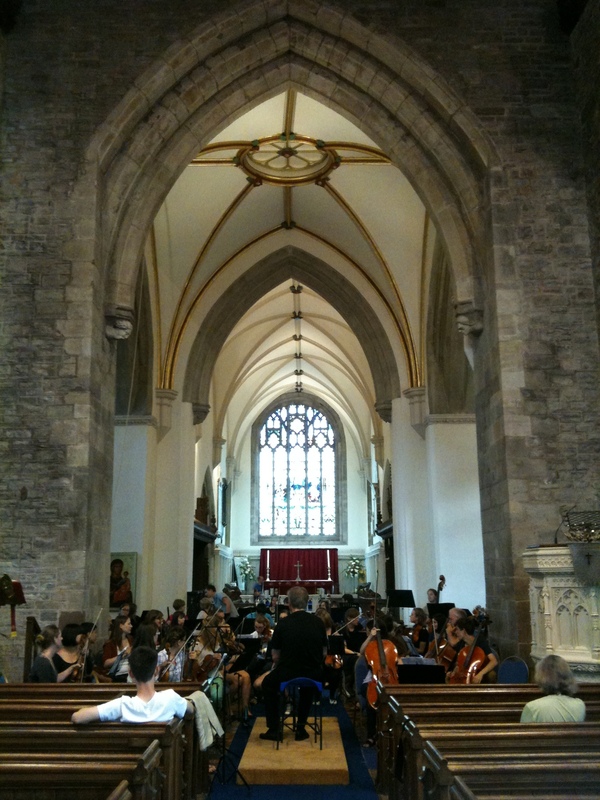 A photograph of the Orchestra practicing before the concert tonight. From Trinity Sunday, June 3rd we shall replace Hymns Ancient & Modern Revised with the New English Hymnal. The NEH gives a wider choice of liturgical hymns and so should enhance our worship.It includes general hymns; hymns for feasts, seasons and saints’ days; office hymns for the liturgical year; an enlarged eucharistic section; responsorial psalms; a new English folk mass setting. On May 29tha t 7pm the Bruschal YoutH Symphony Orchestra from Germany will give a concert at St Marys Priory. Our preacher at the 11am service on Pentecost Sunday (May 27th) is Dr Richard Fenwick, Bishop of St Helena. A former Dean of Monmouth, Dr Fenwick is an accomplished musician, who first came to know the Island of St Helena when he took sabbatical there to build a new Cathedral organ. He was appointed Bishop just over a year ago and is currently home in the Wales on leave. In this Jubilee year it is worth noting that during his time at St Paul’s he was involved in many royal events including the Prince of Wale’ first Wedding and HM The Queen Mother’s 90 Birthday celebrations for which he wrote a hymn verse that HM The Queen based her Christmas message on. St Helena is famous for being the Island that Napolean was exiled to. Lunch, tea, coffee, etc, will be provided and there will be no charge, although, of course, donations will be gratefully received.